This past weekend, we had the perfect excuse to devote a whole Sunday to visiting Palm Springs: Bootlegger Tiki School. For those of you who don't know, Bootlegger Tiki is an amazing tiki bar located in Palm Springs that is easily up there with the best in the country. It's a tiny spot tucked away in the same building that housed Don the Beachcomber at one point. They've got craft tiki drinks down to a science and their menu can be pretty adventurous and innovative. The first drink we had there was the Pod Thai and we've been hooked ever since. We were excited to see that Bootlegger Tiki has been offering courses hosted by Head Bartender, Chad Austin. We have to admit, despite being avid tiki enthusiasts, we're still relatively new to mixing our own drinks and we've barely scratched the surface of understanding the nuances of different rums and spirits. For this reason, we jumped at the opportunity to further our knowledge from an expert who's served up some of the best drinks we've had. We left LA to head to Palm Springs fairly early in the morning. Leaving when we did made the day more relaxed since the freeways were relatively empty and we got there in record time. 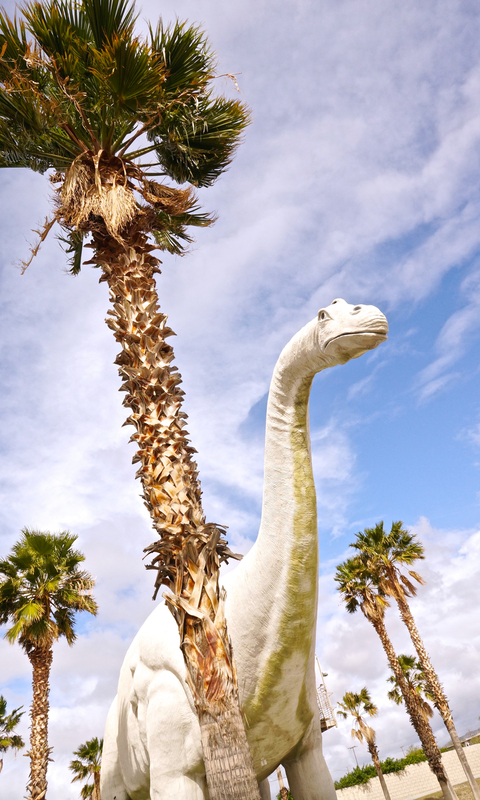 I'm a sucker for crazy roadside sites so I've been dying to check out the huge dinosaurs located just off the 10 Freeway right outside of Palm Springs. We finally took the opportunity this trip to stop, walk around a bit, and snap a few shots before continuing on our way. 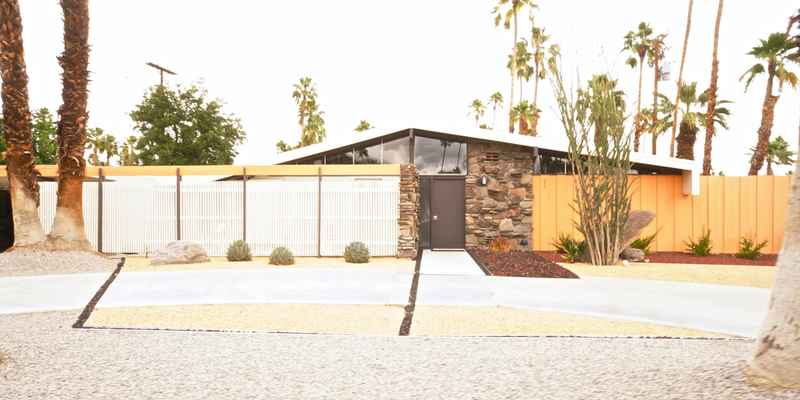 We're also big fans of mid-century modern design and architecture so we like to take in as much as of it as we can get while we're in Palm Springs. The Visitors Center always welcomes us into town as a nice reminder of how wonderfully Palm Springs has acted as a time capsule preserving so many great vestiges of the past. This building was originally designed as a gas station by Albert Frey and Robert C. Chambers back in 1965. 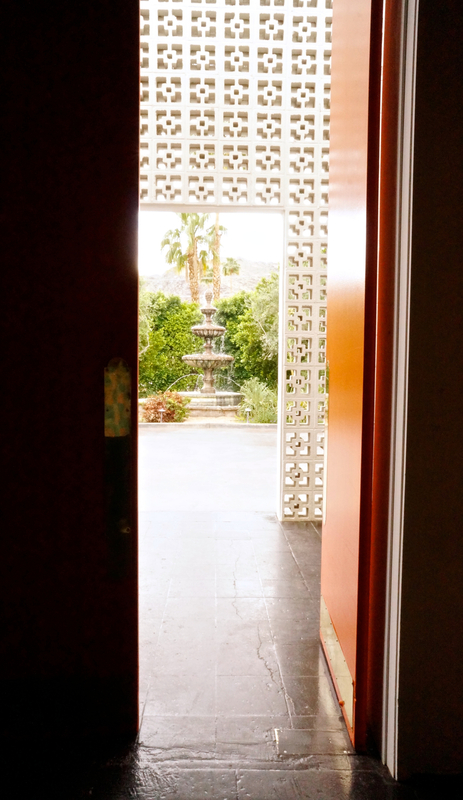 We've been known to scout out the different hotels around Palm Springs since many of them have notable designs that we've heard about. 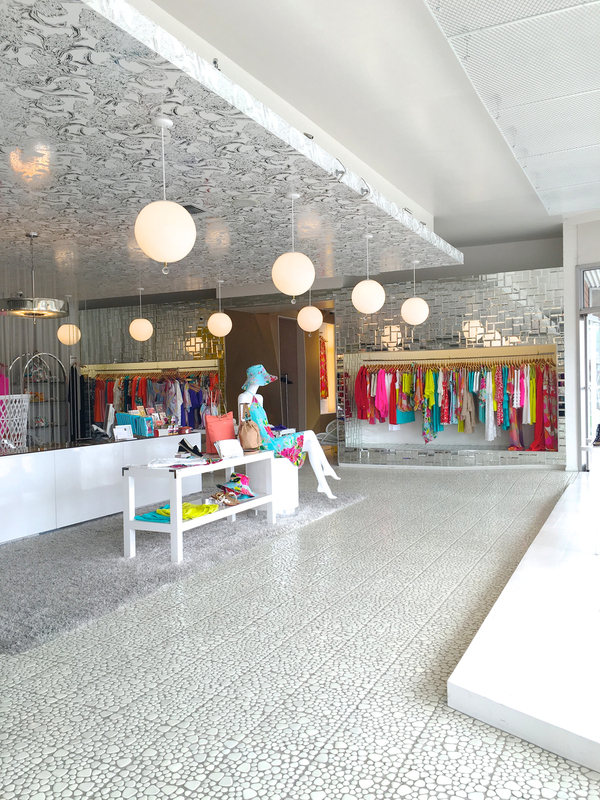 This time around, we decided to pay the Parker Palm Springs a visit since it's had a lot of fanfare surrounding its Jonathan Adler decor. Beyond the lobby and main building, we were surprised to find sprawling gardens and tucked away accommodations. While the design and Secret Garden-esque pathways were quite nice, we did feel that the overall vibe was a little more uptight than some of the more relaxed resorts we really like around town. Other well-designed hotels we've explored and/or stayed at in the past have included: Ace Hotel Palm Springs, L'Horizon, The Saguaro, Desert Star, and Caliente Tropics. There are so many great mid-century modern homes in Palm Springs so we always try to manage to catch a glimpse of some while we're in town. I keep seeing this pink door house on Instagram so we swung by to check it out. Then we took our first drive through the Twin Palms estate area and WOW. We felt like we were instantly transported back in time. So many amazing houses, butterfly roofs, the works! Can we live there please? At 1:00, it was finally to check into Bootlegger Tiki School. Our class, hosted by Head Bartender, Chad Austin, started with a blind taste test. It was great to learn how to properly taste spirits and how to identify different nuances of them. We ended up trying (pictured from left to right below): Absolut Elyx, Hamilton Jamaican Pot Still Black, and Fernet-Branca. Then it was time to learn to make two cocktails. They were musically-inspired since its just about Festival Season in the area. We made a stirred, gin-based drink: Joy Division, and a shaken, rum-based drink: The Great Pretender. After Chad demonstrated how to make each of them, we had fun taking turns behind the bar mixing our own drinks (and, of course, enjoying them afterwards). Keep your eye out for upcoming Bootlegger Tiki School classes here. Note: Bootlegger Tiki's regular hours of operation are 4PM - 2AM. Following our class, we went next store to Ernest Coffee to grab a little caffeine pick-me-up before continuing on with our day. It was then time to (finally) get some lunch. We love the retro diner feel of King's Highway at the Ace Hotel so we manage to grab a meal here just about every time we're in town. Bonus: We got to wander around the Ace Hotel a bit. We're big fans of this place. PS. Other food favorites of ours in town include: Birba, Tonga Hut (see below), and Elmer's. As many of you know, the Tonga Hut in North Hollywood is one of our favorite spots, especially after completing the Grog Log. 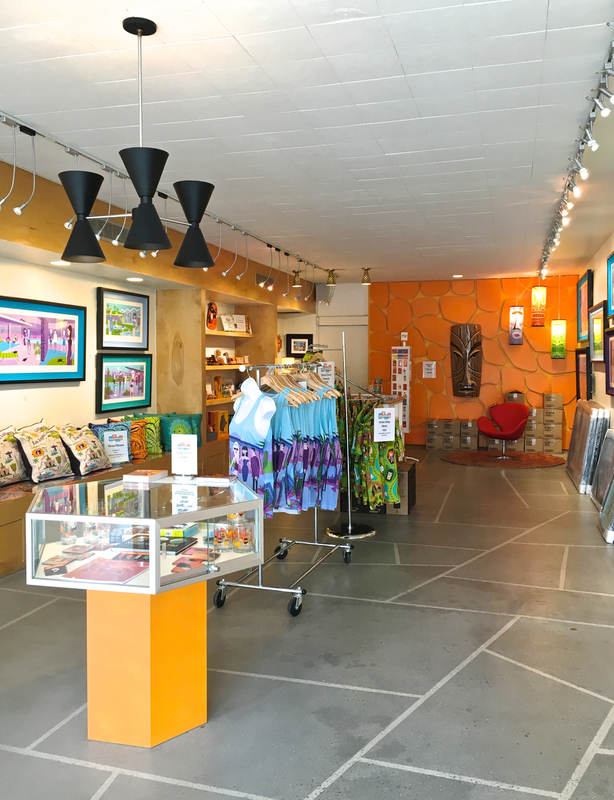 We love to stop by its sister location in Palm Springs whenever we're in town. Unlike the location in North Hollywood, this spot serves double duty as a bar and a restaurant. We've eaten here on all of our other trips, but since we had just grabbed lunch, we decided to just enjoy the bar this time around. Some drinks we got to try here that aren't on the North Hollywood menu: Three Dots and a Dash, Tiki Token, Bermuda Dunes, and Shrub Old Fashion. They were all great! After a couple of drinks at the Tonga Hut, we took a brief walk over to the casino in town. It may be small but we still enjoy stopping by to try our luck. This time around, we were hoping to win all of the money we need to finance our upcoming Modern Tiki Wedding but we ended up breaking even (womp womp). Sadly, around 8:30, it was time to head home. We would have liked to have enjoyed Palm Springs a little longer but we wanted to get some rest before the work week began. In all, we were still able to cover a lot of ground and we can't wait til our next trip back! 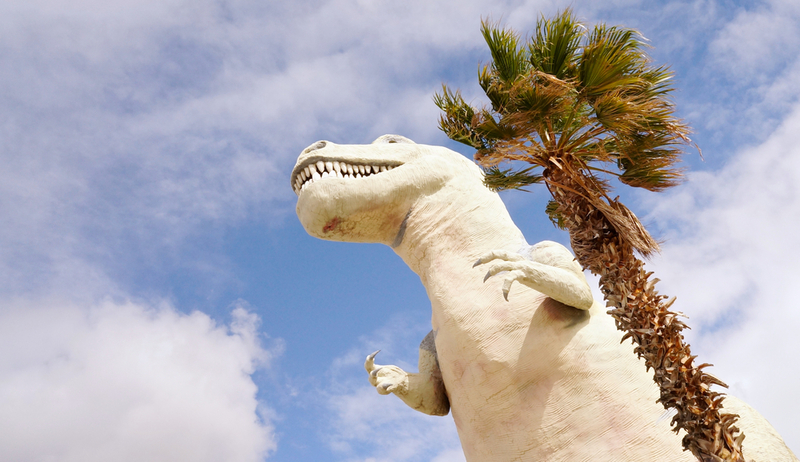 What are your favorite spots in Palm Springs? Let us know!